A busy eight-day stretch of racing at Lincoln Park Speedway wrapped up Saturday night with another exciting set of feature events. Brownsburg’s AJ Hopkins picked up another sprint car A-main victory as he edged out Colten Cottle and Jeff Bland Jr. Kentucky’s Trent Young invaded the Hoosier State and came away with the Modified Mid-season championship feature victory over Levi Kissinger and Jordan Wever. Bryce Shidler recorded his second UMP Super Stock feature in of 2018 in dominating fashion as Wes McClara ran second ahead of Michael Clark. Jordan Almanza returned to victory lane with his bomber victory ahead of a charging Josh Litton at the finish line. Last week’s winner, Cody Wright ran third. Brazil’s Devin Wallen drove away from the field in the second bomber feature to gain the win. Twenty-six sprint cars were in the pits this weekend after competing Thursday night during USAC’s “Indiana Midget Week” date. Dakota Jackson, Hopkins and Lee Underwood were heat race winners and Tim Creech dominated the B-main to reach the main event. Shelby VanGilder and Cottle started on the front row and it was Cottle, the Kansas, Ill. native, taking the early advantage by several car lengths. Behind him, Hopkins was setting a quick pace as well, pulling away from third-place running Brent Beauchamp and Underwood. While Cottle had what appeared a solid lead through five laps, Hopkins was running a high wire act around the cushion and began clicking off a car length a lap until the seventh circuit. Hopkins ripped through turn two and got a big run into turn three and four to take the lead, but a caution came out before the pass was complete. On the restart, Cottle held the lead through lap 10 as Bland and Hopkins were in battle for the second spot with Beauchamp holding a slight lead over Rob Caho Jr. of Wyoming, Minn. By lap 13, Hopkins had zeroed in on Cottle and blasted through to the lead off of the top of turn two. Hopkins settled into the lead by lap 15 as Cottle, Bland and Beauchamp followed with a solid lead over Caho. With five laps remaining, Shane Cockrum made his move into a top-five position. At the finish line it was Hopkins pulling away with Cottle, Bland, Beauchamp and Cockrum rounding out the top-five. An $800-to-win, $150 to start purse for the UMP Modifieds brought some heavy hitters to Putnamville on Saturday night to compete for the mid-season title. Thirty UMP Modifieds were on hand with Crofton, Ky., native Young winning the second heat following Wever’s win in the first qualifying race. Greencastle’s Josh Boller picked up the third heat win with Kissinger winning the final heat. Dan Lewellen and Michael Fish were B-main winners to set the 25-lap A-main field. The early stages of the race were marred as Tim Prince got upside down on the front stretch, totaling his No. P1 machine. Fortunately he was uninjured in the crash that also took out a couple of other competitors on lap 3. On the re-start, Young and Kissinger were in tight competition for several laps before Young began to separate himself from the front runners. By lap 10, lapped traffic loomed on the horizon, but it wasn’t about to slow Young from taking the checkered flag. Young ripped through traffic with surgical precision while maintaining a several car length lead over Kissinger. The only thing that slowed the leader down was a caution on lap 20 that re-set the field and gave Young’s competition one more chance. Once the green flag resumed the action, Young wasn’t going to leave the door open for Kissinger. Young hammered through the first two corners to re-establish his advantage and cruised to this 10th feature win of the young season. Kissinger, Wever, Derek Groomer, Boller and the rapid rising James Walters rounded out the top-five. Walters started 16th in the field. In the UMP Super Stock division, Shidler left little doubt about topping the field in the 20-lap main event. Shidler jumped to a solid lead just five laps into the A-main as Brazil’s Michael Clark ran second ahead of McClara. By lap 10, McClara had moved into second-place, but Shidler had built as much as a straightaway lead on second-place. As the laps ticked off, Shidler found his way into lapped traffic as McClara began to reel the leader in just a bit. With four laps to go, Shidler still held nearly a three-quarters of a straightaway lead as Clark ran third ahead of Larry Raines and Paul Wright. At the finish line Shidler picked up win number two by five car lengths over McClara, Clark, Raines and Wright. Twenty-nine bombers were on hand with Matt Raber, Almanza and Justin Bumgardner winning heat races and Josh Litton taking the B-main victory. Both Cody Wright (17th) and Josh Litton (16th) had their work cut out for them starting deep in the field for the A-main as Danville, Ind. native Glen Ogden started outside of David Wallen on the front row. As the green flag flew, it was Ogden holding the top spot early as Wallen and Almanza battled for the runner-up spot door-to-door. Josh Foxworthy was close in tow ahead of Raber and Megan Cavaness. A caution flew on lap five and it spelled a disappointing end to the evening for Ogden as he pulled to the pits, ceding the lead to Almanza. On the restart, Almanza made the most of his good fortune and would not relinquish the top spot, running a smooth and razor sharp line around the top side. Wallen stayed in contention for several laps before Almanza rocketed out a sizable lead. Foxworthy would pick off Wallen for second just ahead of a caution as Wallen and Cavaness battled for third. On the restart, Litton found his opening with four laps remaining, splitting a pair of cars and rocketing into second place. He began his pursuit of Almanza, but simply did not have enough time to make a serious challenge as Almanza took the checkered flag. Litton took down second ahead of Wright, Wallen and Cavaness. In the final bomber feature, it was Wallen taking the green flag from the second spot and quickly taking the lead. He ran a razor sharp race to build a large lead at the checkered flag ahead of Daniel Foxworthy and Chad Casassa. 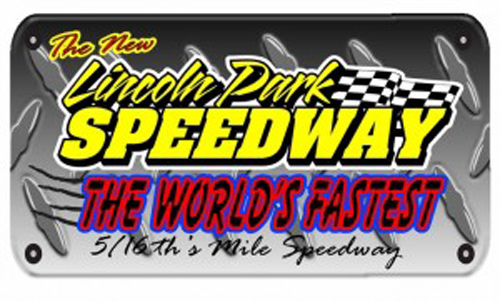 This weekend will feature sprints, UMP Modifieds and super stocks as well as the Bomber Mid-Season Championship.